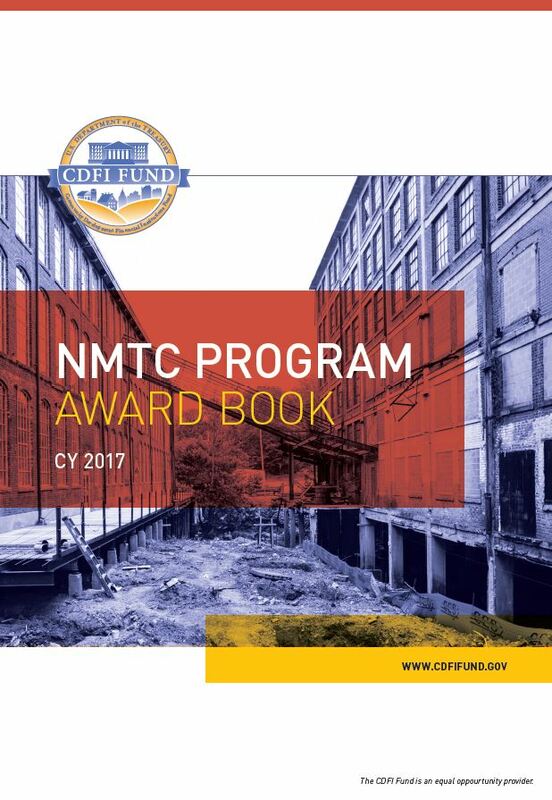 WASHINGTON, D.C. – The U.S. Department of the Treasury’s CDFI Fund announced the Calendar Year 2017 New Markets Tax Credit (NMTC) allocation awards today. The CDFI Fund awarded $3.5 billion to 73 Community Development Entities (CDEs) from around the country. The CDFI Fund indicated 230 CDEs applied for allocations for a total demand of nearly $16.2 billion in credits. Only 73 applications were successful (31.7 percent), receiving $3.5 billion—an amount that only meets a fraction of the demand.